How To Know A Home is Right For You - Boston International Real Estate place you like, you better put in an offer or lease it out the moment you can. But what exactly goes through your decision-making? Is it convenience? Affordability? Size? Or perhaps plain old aesthetics? The most important factor going through these questions though, is that you don't let the stress of crossing off all your "wishlist" items ruin your decision-making process. And though it's true that this can be harder than it sounds, it's not impossible. Is this the first place you've seen? If so, don't take it just yet. See at least three other places. It's too easy to make a rookie mistake if you don't have any comparables. However, being true to our earlier advise, ask your realtor if this place is the first you visited because it's one that they'd recommend. If your broker has some sense in them, they'd already figured out beforehand what properties they should show you based on what you're looking for. Usually, the first on the list is the one that they truly think you'll fit with the most. Is this the neighborhood you wanted? Before you start looking at apartments, you should be scouting neighborhoods. Your neighborhood is going to be one of the primary reasons you like or don't like your apartment, so it's important that you stick to those neighborhoods you like. It's easy to be swayed by a cheaper place a few miles away, or to look at a bargain one-off listing in a neighborhood you're unfamiliar with. But marrying your ideal lifestyle with a listing is essential to your everyday life; it'll be harder to change your habits than changing apartments again. Remember, if the neighborhood's not right, you're not going to feel right. Is the management company reputable? Management companies tend to be either known or unknown. 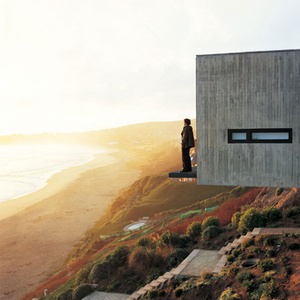 However, going for a dwelling space that's managed by a known one doesn't necessarily ensure you'll be smooth sailing. It only means that they've had a history to learn from. Having said that, going with a fledgling management company has bigger risks, but look into the team and the personnel behind it. It might be that they have a good amount of experience that'll cushion your concerns. Trust your broker when they say it's a good management company or not, since they're most likely the ones who have more facetime with them. If all else fails, there's always the Better Business Bureau you can go to, or troop on to one of the dozen review sites out there that'll give you a good indication of the management company's standing. Remember, aside from handling your accounts and your building's maintenance, these guys are responsible for your everyday living situation, and a bad landlord will make your life miserable, no matter what else is right with the apartment. You should feel comfortable trusting them. If you don't, you should pass. Does the place match your top criteria? Before you head out on your search process, you should determine which things are most important to you in an apartment and rank them. Criteria can include price, proximity, or whether the place has amenities you can't live without -- basically, anything that you need in a place to feel happy. You shouldn't compromise on the top three things on your list. The rest, you should be more flexible with, but try to get as many as possible. If you find a place that hits it out of the park with your top three, with only minor compromises on the rest, then you should definitely go for it. Last, but not least, you should consider the harmony between you and your soon-to-be living space. Ask yourself, is the vibe you're getting off the place "right"? Rule of thumb is that when you walk into a place, it should instantaneous click with you: do you get excited about it, or even go deeper as to assessing whether you see yourself in it or not, you shouldn't have to spend much time talking yourself into it. The vibe willbe right, and you'll immediately be able to picture your couch over there, your dining room table in this nook, your framed photograph on that wall. If you picture yourself walking in after a hard day at work and just feeling at peace, you know you've found your place.